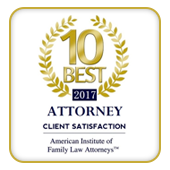 We provide a wide array of options for litigants that would like to mediate their divorce, legal separation, child custody matter, or any other family law issue. These options, more fully described below, range from basic mediation to all-inclusive mediation that includes preparation of all paperwork necessary to complete a case to judgment. The first option is simply when the parties meet with the divorce mediator online for their mediation session or sessions, with no preparation or filing of legal documents. This enables you to use our mediation services to try to hammer out a settlement agreement between the parties. We explain the divorce process, the necessary paperwork in the case that will need to be completed and filled, the issues to be addressed, and how the courts typically handle particular issues based on the law. We work to determine what issues are agreed on and narrow those that are still in conflict, and ultimately try to work towards a fair and amicable resolution. For this option we require a retainer deposit of $1,500 to begin the process, from which the mediator charges by the hour for the time that the mediator spends on your matter. Of this amount, $1,000 is non-refundable. In addition, we do charge for some basic administrative fees to open your file and set up the mediation session or sessions. If we spend time on your case that exceeds your deposit, we will require an additional deposit that we will discuss and agree upon. Our straightforward retainer agreement provides specific details about how we bill you. 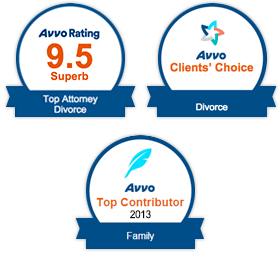 As an alternative to the first option, we also provide a flat fee, all-inclusive divorce mediation which includes 3 mediation sessions of 2 hours each as well as preparation of all the paperwork necessary to file a divorce or legal separation case, prepare the required financial disclosures, and prepare the judgment and marital settlement agreement necessary to finalize your case. In other words, we can handle your divorce case from start to finish and you do not have to obtain a separate attorney to prepare any of the required paperwork. We even file all paperwork with the court on your behalf. We typically require a $3,500 retainer for services related to Option 2. In our experience, most cases settle within 3 mediation sessions, and this option has often been a very cost-effective one for divorcing parties. Please be advised that there are certain court filing fees based on the county that you live in that are required to be paid to file for divorce or legal separation that are not included in our retainer payment. If you have any questions about these options, feel free to call our office or send us an email.